This week I Have been interning at Sowden & Sowden infinite marketing solutions company based in my home village of Hessle. 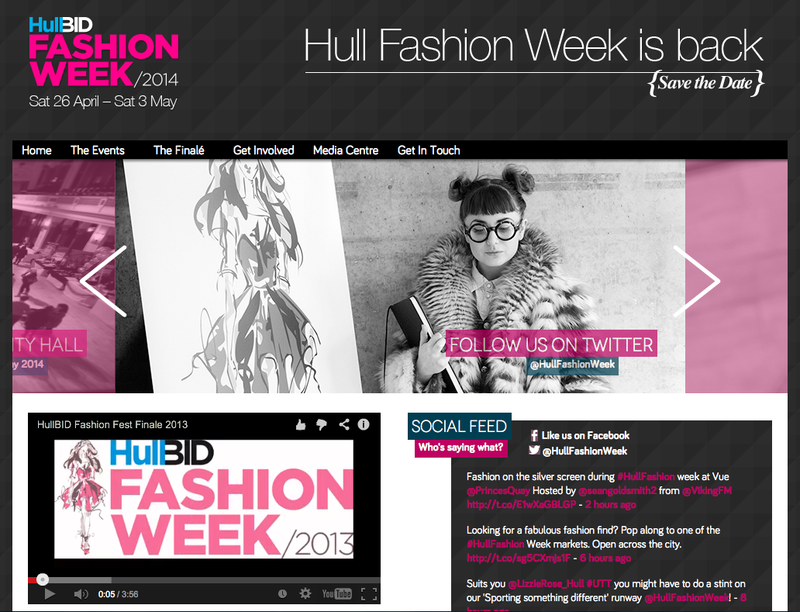 This year they are organising Hull Fashion Week 2014. I have never been to a Hull Fashion Week before as i am usually away at uni this time of year but since i am home i thought it would be fun to be involved with Fashion related events within my own city ! Nothing 'Fashionable' ever happens in Hull so I was really keen to have my input. This week I have been updating the website, creating posts for social media amongst other bits and pieces. Im so excited to say I have been able to help with things such as this as it is actually the career I am wanting to go in to after uni ! So if you live in Hull / Yorkshire you should really get yourself to Hull City centre 26th April - 3rd May and get involved with all the Free events that are going on :). Theres Catwalk shows, market stalls, competitions and loads of discounts and freebies! I have loved gaining experience here and I hope I can do it again soon! Also let me know if your going along! A few new beauty bits&bobs | Haul #5 & Reviews.